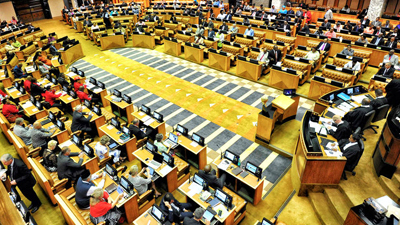 CAPE TOWN — South Africa’s National Assembly this week approved redrafted versions of the Performers’ Protection Amendment Bill and the Copyright Amendment Bill that includes stronger protections for copyright holders but also a fair use provision preserving some exceptions. But there is still an additional step to go before it reaches the President for signature, likely in the New Year. With the National Assembly’s passage of the bill, the next step is for it be sent to the National Council of Provinces for concurrence before it goes to the President for signature. However, given that Parliament is on recess from the 16 December until 10 January, it is expected that that the bill will make its way to the NCOP early next year. Exact time frames are unclear at this stage. The Copyright Amendment Bill was passed with 197 Members of Parliament in favour of it. Four MPs reportedly voted against it and there were no abstentions. “The Copyright Amendment Bill, 2017 amends the Copyright Act of 1978. The purpose of the Bill is to protect the economic interests of authors and creators of copyright works against infringement and to promote innovation and creative activities,” he said. “The Bill seeks to amongst others, provide for the share in royalties regarding literary or musical works, visual artistic works, audiovisual works and resale royalty right for visual artistic works. The Bill also provides for the accreditation of Collecting Societies. Furthermore, it allows fair use of copyright works. The Bill provides exceptions such as in copyright works, educational and academic activities, protection of computer programs, libraries, archives, museums and galleries,” explained Davies. Davies added that the Copyright Amendment Bill provides for access to copyrighted works by persons with disabilities and strengthens the powers and functions of the Copyright Tribunal. It also provides for prohibited conduct in respect of technological protection measures. The Performers’ Protection Amendment Bill, 2016 amends the Performers’ Protection Act of 1967. Davies indicated that the Bill provides for the transfer of rights where a performer consents to fixation of a performance. Stakeholders of the Copyright Amendment Bill are optimistic that the recent momentum gained in moving the bill towards finalisation, will again be prioritised by Parliament in the new year, after the year end Parliamentary break. Meanwhile, the Copyright Amendment Bill has stoked emotions, finding supporters among users and receiving criticism from some in the publishing sector. Publishers were trying to rally authors to sign a petition against the bill. But not all authors have been in favour of this response. “I am saddened that you [publishers] are taking the position that South Africa, as the most unequal country in the world, should not have the same pro-development “fair use” rights to use copyrighted material for education and other public interests as exist in the United States (where I received my education) and other wealthy and middle income countries (including, e.g., Malaysia, Philippines, Canada, Singapore, Korea, and others). “I have read through the various commentaries offered by international publishers and privileged academics lately. None of it addresses the question I raise above – why should South Africa have greater monopoly protections for published works than the US and other rich countries have? Countries, I might add, with thriving publishing markets. “In looking a little further, I came across empirical evidence showing that, in fact, fair use has been shown to improve scholarly output (my own interest) while not harming publishing revenues (your and their interests). I see no empirical work cited in the statements of IPA and other loud voices criticizing fair use of late. Most importantly, if the society has greater fair use rights, it will expand UKZN Press authors’ exposure and influence. “The royalties we receive are truly so trivial as to not warrant your authors’ support for this restriction of our ideas, surely? “So this appears to be another instance when our own local creative firms have uncritically allied themselves with international monopoly publishing capital, with no good argument as to why the rest of us should go along. South Africa’s current Copyright Amendment Bill which threatens the livelihoods of authors and publishers is about to be handed over to parliament’s national assembly for approval even though there are clear objections to it. Submissions to parliament and media statements objecting to the Bill’s unacceptable provisions were issued by PASA, ANFASA, DALRO and international organisations such as IPA, IAF, IFFRO but to date the Portfolio Committee on Trade and Industry has ignored them. Below is protest action by authors. "South Africa Parliament Passes Sweeping Copyright Bill; Final Step Expected In New Year" by Intellectual Property Watch is licensed under a Creative Commons Attribution-NonCommercial-ShareAlike 4.0 International License.